Condair’s UK distributor, JS Humidifiers, has supplied and installed a JetSpray humidification system to Pinetum, the UK’s leading pine furniture manufacturer based in Wiltshire. 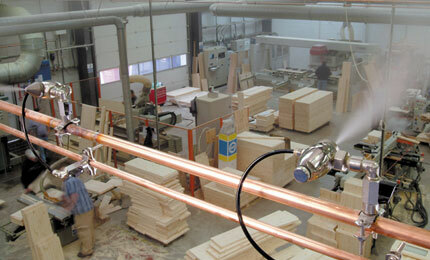 116 nozzles, which combine compressed air and water to produce a fine atomising spray, are now humidifying the company’s timber store, machine shop and assembly areas, maintaining the humidity at 60% relative humidity. 525 litres of water are pumped into the atmosphere every hour around Pinetum’s production facility, ensuring that the timber being worked and stored there remains in total equilibrium with its environment. Pinetum is one of the largest pine furniture manufacturers in the UK, employing over 120 people and producing more than 2,000 pieces of furniture every week. Occupying a four acre site in Wiltshire are three Pinetum factories totaling over 50,000 square foot of production space, warehousing and offices. Wood is by its nature hygroscopic - that is it is affected by the moisture content of the atmosphere surrounding it. 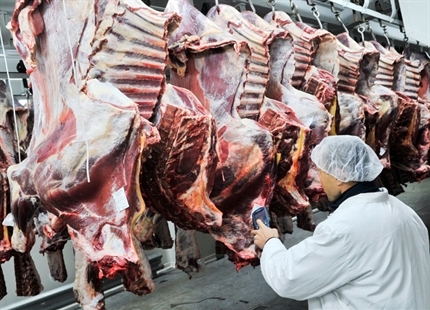 In order to avoid the warping and swelling that occurs when it is exposed to different humidities an optimal humidity level must be consistently maintained. Cold water spray humidifiers have the added benefit of suppressing dust in the atmosphere, which in an environment where wood is being sawn, is very desirable and results in the area being a much healthier and nicer place to work in. 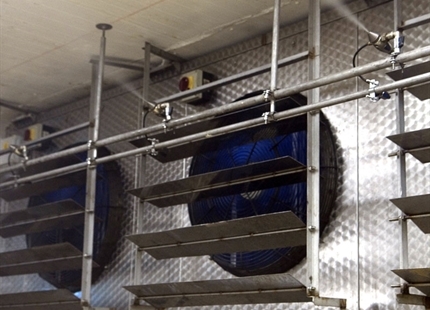 The JetSpray humidifier is ideal for this type of industrial application as it requires very little maintenance and consumes very little energy. The system incorporates lines of precision engineered nozzles that combine air and water under pressure to produce fine sprays of just 7.5µm, which evaporate almost instantly. 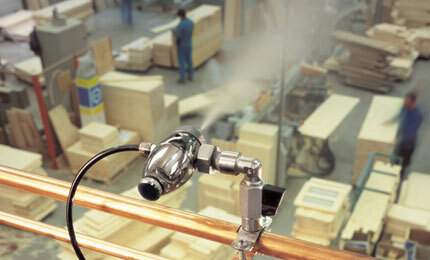 The JetSpray can be used to humidify any sized area by simply increasing the number of nozzles used. With no drips or showers, and a self-cleaning mechanism, the JetSpray can confidently be used in the busiest industrial environments. 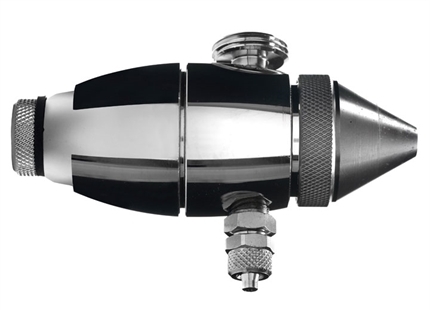 Constructed in nickel-plated brass and stainless steel, JetSpray nozzles carry a 10-year guarantee.